Grandparents Gifts and Presents for Nana and Grandad. Grandparents are the most Treasured members of your family - Whether you call them Grandma, Grandad or Nana and Grandpop, Oma, Opa or your tīpuna. Did you know? There is even a special day to celebrate them? Grandparents Day is Sunday 8 September 2019. Order cut-off 8am Monday 24th December for XMAS EVE DELIVERY. When sending flowers for seniors, we use long-lasting flowers and arranged in a more compact style - super easy to look after and perfect for retirement village apartments or smaller homes. Plants are always a favourite for delivery throughout Auckland. Grandparents gift baskets are another thoughtful gift idea, filled with tempting treats, and traditional sweets that are easy to eat and nostalgic. We can deliver gifts to your Oma and Opa at Ons Dorp Dutch Village Henderson. Waitakere Gardens, Edmonton Meadows, and Radius Arran Court, Avondale Rest Home are all in our local neighbourhood. We are just around the corner from Waitakere Hospital and can deliver to the elderly rehabilitation wards: Huia and Muriwai wards. 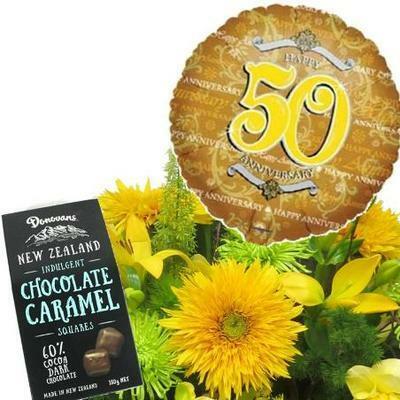 It is easy for us to send flowers and gifts to your Grandparents anywhere in Auckland - Retirement Villages, Rest homes and hospitals.